7:00 - Rise and shine! From early morning to late evening, campers are active. Our programs are varied and designed to provide fun, education, community-building, an appreciation of nature, spiritual growth, and rest. Daily activities include swimming, canoes, horseback riding, crafts, recreation, nature study, outdoors, low ropes and high ropes (ages 11-15) course. Fishing and hiking, cookouts, playing in Kelly Creek, sports and games, riflery and archery all add to the fun. Check out the videos below featuring some favorite camper activities. Every night at camp has a different theme with a variety of activities. Some of the night activities were created at camp's very beginning and continue to be loved by campers. 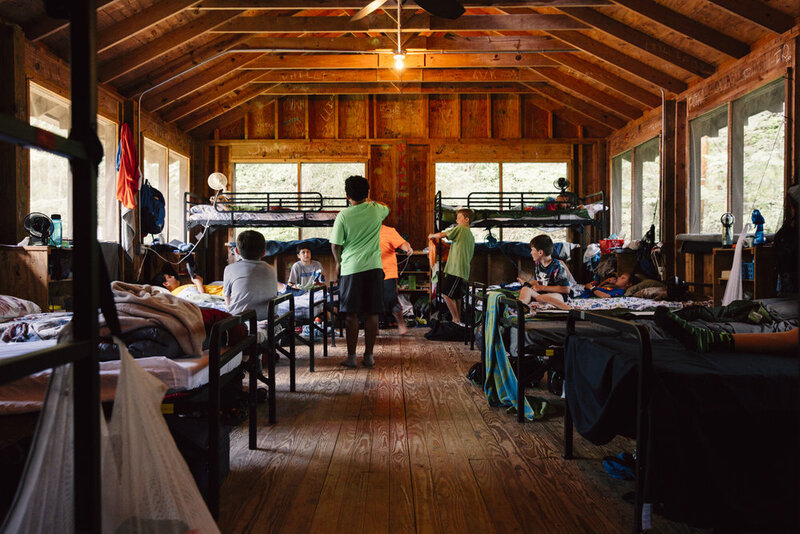 Most of the night activities feature a time when the entire camp gathers together, and a time when campers are participating in activities as a hut or in smaller groups. Bedtimes are staggered so our youngest campers get the sleep that they need! Check out the Packing List for what to bring for Night Activities. 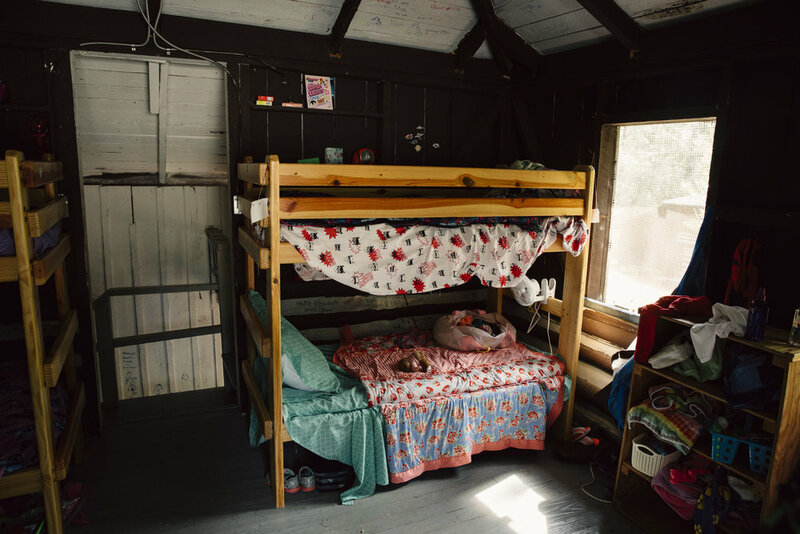 Chico huts house 8 to 10 campers in a loft, with two counselors in a separate space. Mainside huts are divided into a left and right wing, with counselors housed in side sleeping quarters. Every cabin has several sinks to brush teeth or get water, and a meeting space in the middle. Bathhouses (called "Brickies") are a short walk away from the huts. In 2017, two new bathhouses were completed, one for the girl's side of camp, and one for the boy's side of camp. This inside of a Chico cabin. 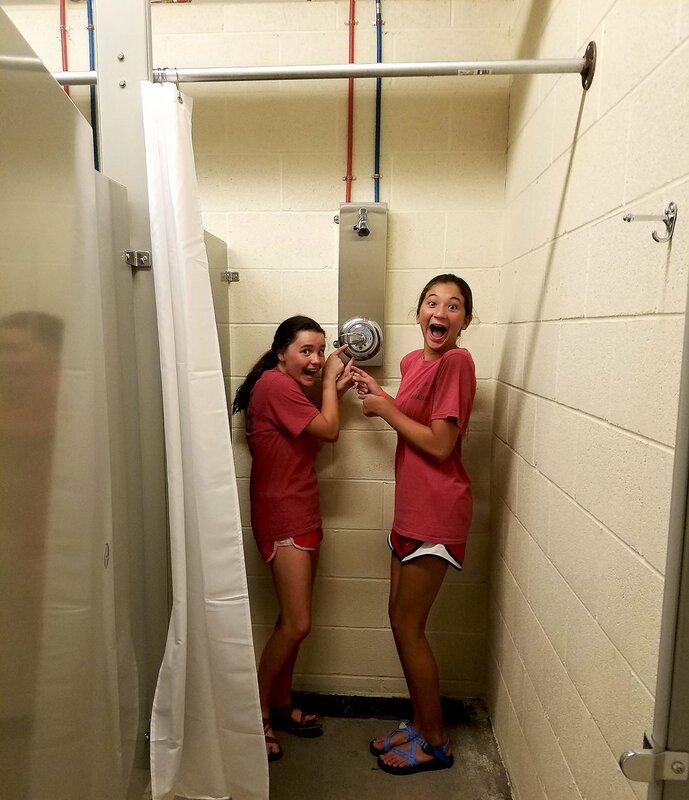 Campers were thrilled to have entirely new bathhouses in 2017! One side of a hut on Mainside.